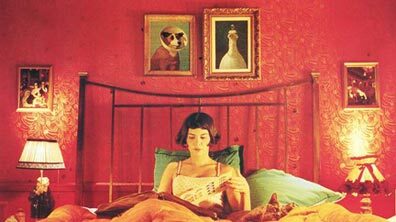 I rediscovered the french film Amelie and fell in love with the mise en scene all the stuff on the sets that make up the environment. 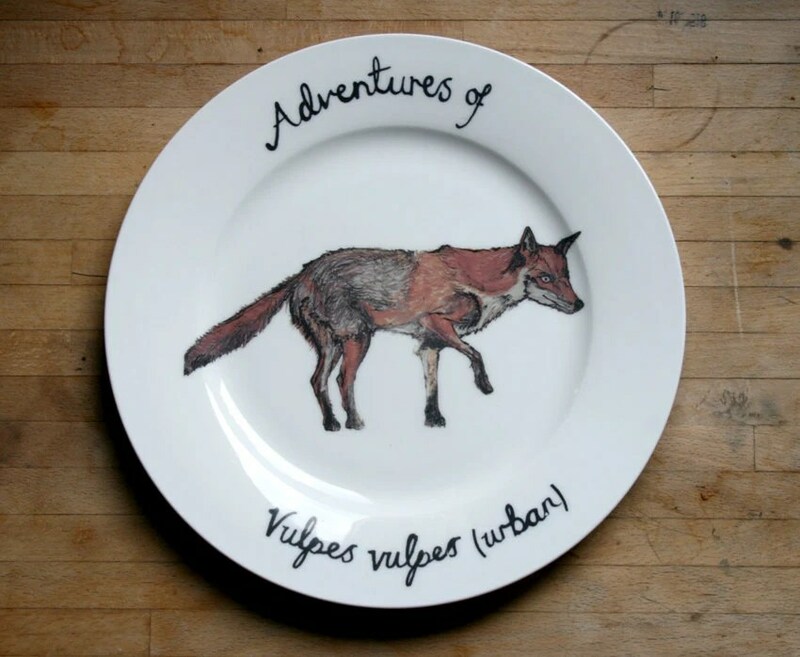 From the wallpapers in the character’s flats to the pictures, art, furniture, dish ware, lamps and all other knick-knacks. 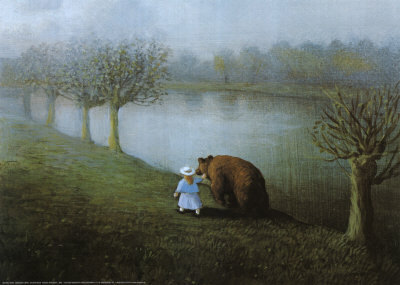 There were 3 specific pieces I noticed Amelie had in her flat, 2 above her bed shown here: and “bear” elsewhere that I just adore. 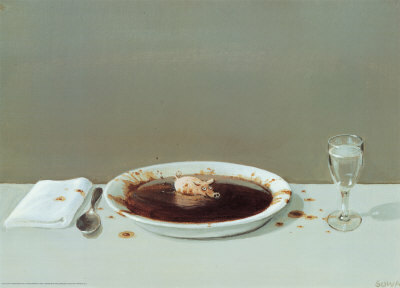 The German artist (Michael Sowa) was a favorite of the film directors Jean-Pierre Juenuet. boating party” by Renoir. 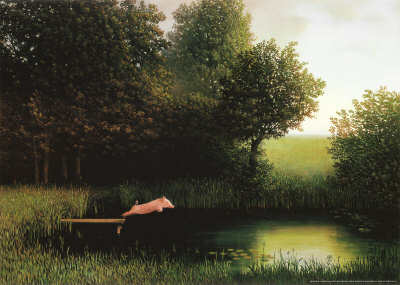 I’d love to have some of Sowa’s prints in my home; they’re on my list of art to buy! 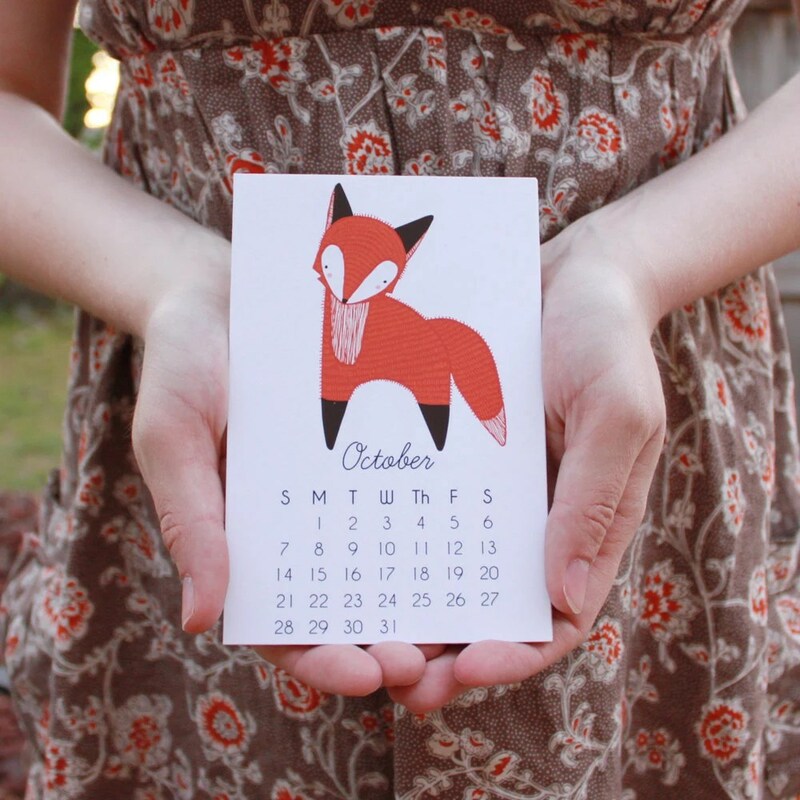 I am dying over this print by Sandra Diekmann via her etsy shop. I love wolves, always fascinating animals to me and this is an amazing illustration! I even have a pinterest page titled “Wolves and Ekos” named so after my dog Eko (pronounced Echo) who is part husky and possibly part wolf. He was a rescue and our neighbor who works for a Dallas husky rescue organization has a husky-timberwolf mix and it looks just like Eko! A fox dubbed Romeo was found living on the 72nd floor of Europe’s tallest skyscraper surviving off scraps of food left by construction workers. Isn’t this the cutest? I bought a print from her a year or so ago and love it. 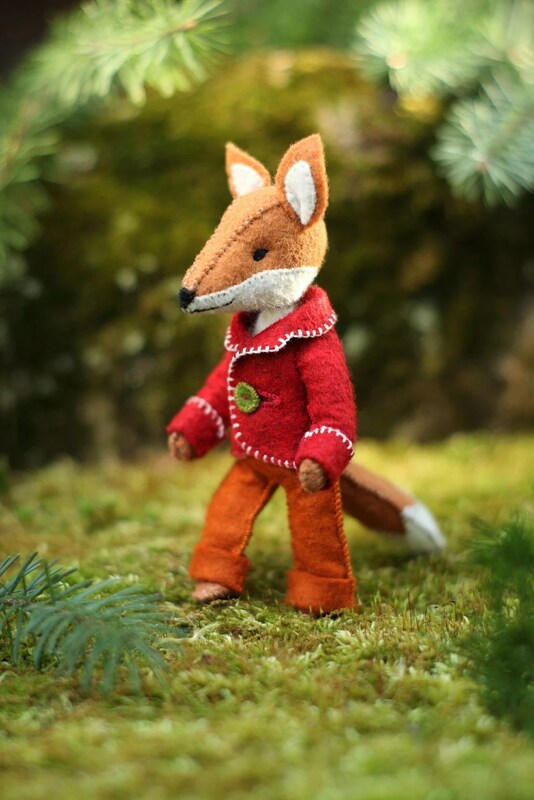 I forgot, I bought this adorable tutorial to sew this cute little guy. I think he’ll be an ornament. 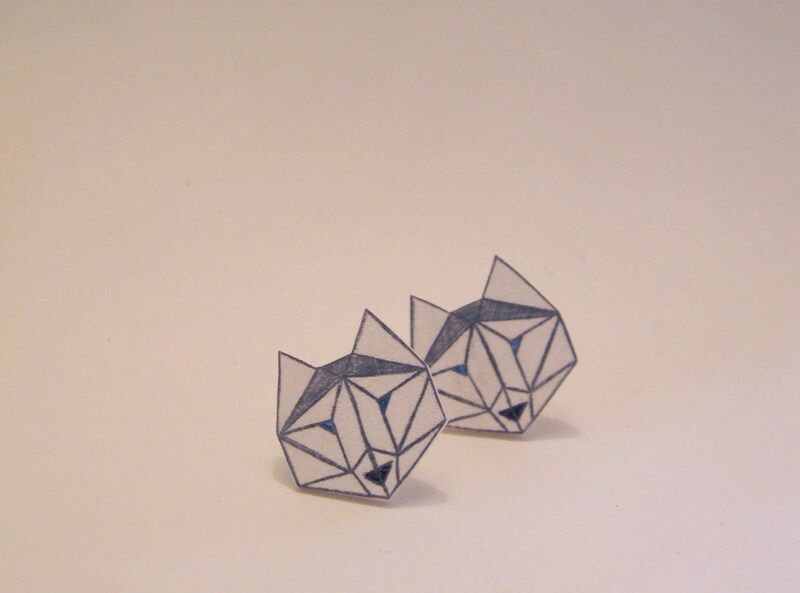 I just think these are neat earrings, love the geometric look. I may be going a little overboard with these leggings but they are pretty sweet. 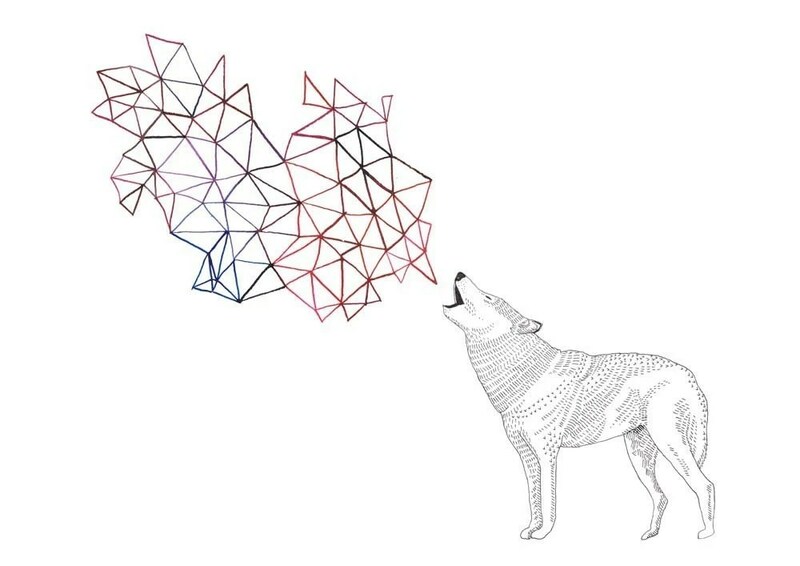 Love this wolf howling a geometric design! 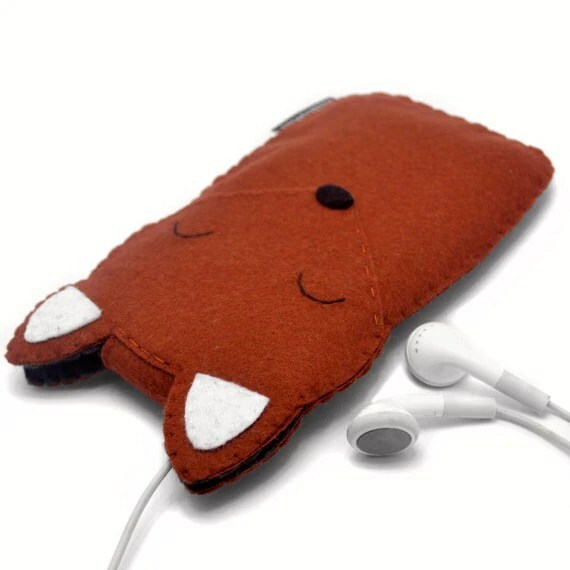 and this adorable phone case! I’ve got to run now and get some errands done and some house cleaning before the weekend, I hate cleaning on weekends;) Cheers, happy friday!